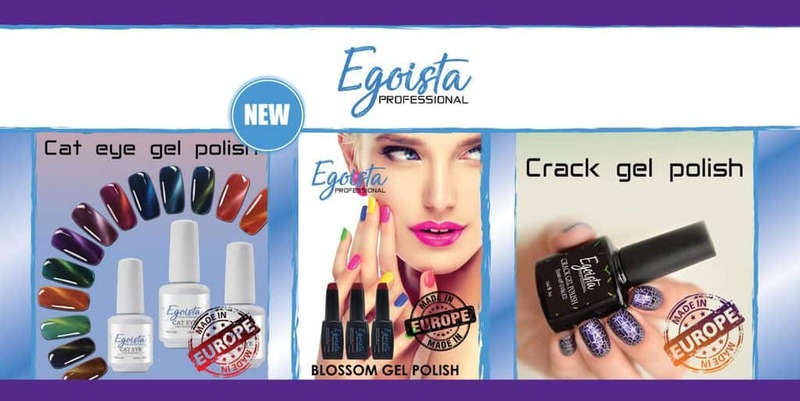 Egoista Professional nail gel systems are Now Available at Euro Essentials! Developed by one of the leaders in the European market. The brand is represented in over 15 countries and these products in recent years have taken the world by storm, dominating the market due to the Superior Quality and yet the affordability. Professional nail technicians will not settle for anything less than the finest quality. Easy to use gel system products, huge range of color art gels and wide choice of any consistency gel products with excellent color clarity and superior adhesion. Egoista products are hypoallergenic and dermatological tested to comply with European standards and certified by Health Canada.